This worksheet is a pictionary related to the topic of nature. 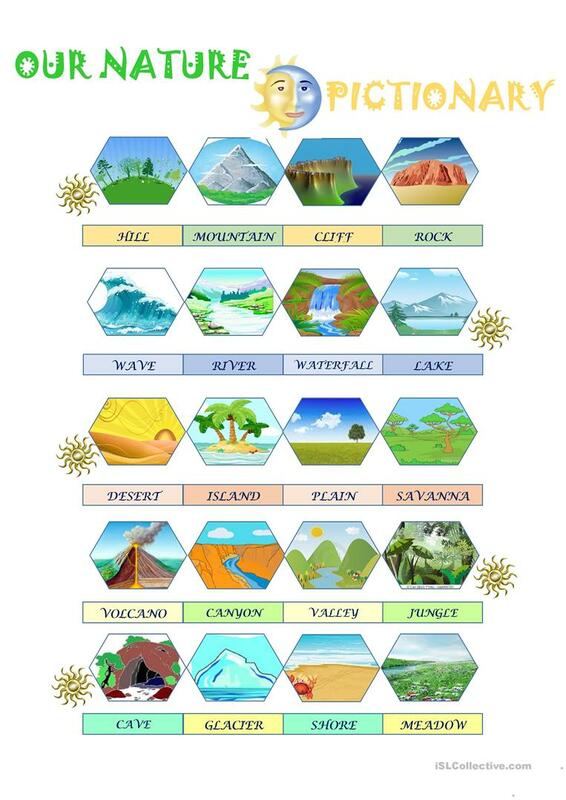 Basic vocabulary can be taught and practised with it (environment and env. problems). It can also be used as a poster. The above downloadable teaching material was created for high school students, elementary school students and adults at Pre-intermediate (A2) and Intermediate (B1) level. It is excellent for developing your students' Spelling and Speaking skills. It focuses on the vocabulary topic of Environment.